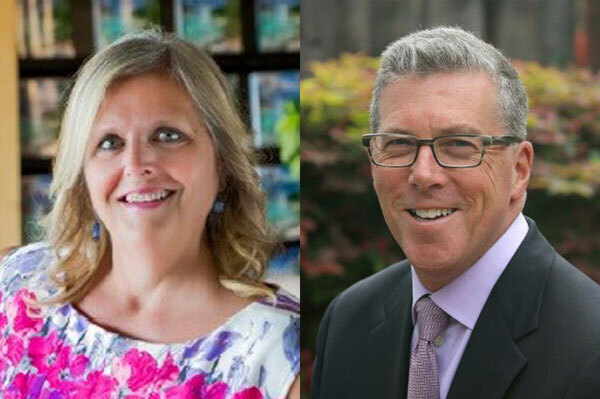 Terri Jo Lennox (pictured left), president of Travel Time Inc., and Gary Pollard, president of Ambassador Tours, have been elected chair and vice-chair, respectively, of the Ensemble Travel Group board of directors. The two travel executives were elected by their board peers for the one-year term. “The role of the board is to provide leadership and oversight to the Ensemble co-presidents and team, while representing the interests of the Ensemble member shareholders in a balanced and fair manner. Our focus this year is to continue implementing the initiatives of Ensemble’s Strategy Plan 2020,” said Lennox, who started in the travel industry in 1990 and opened her first agency in Calgary in 1998. Her agency footprint now includes Kelowna, BC, and Fort Nelson, BC, in addition to the original location. Lennox’s agency joined Ensemble Travel Group, then GIANTS, in 1998. Her committee involvement includes compensation and review, finance and Canadian marketing. She served as vice-chair of the board of directors last year and takes over from Ross Spalding, outgoing chair, of Crown Cruise Vacations. Pollard’s agency at Ambassador Tours in San Francisco joined GIANTS in 1969, just one year after the consortium was founded.